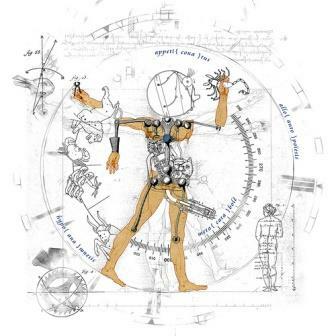 In the last two decades non-anthropocentric theories – whether posthumanist, neo-materialist or transhumanist – have attracted growing attention from scholars in a wide range of fields. Despite their interdisciplinary output, the question of the relation between non- anthropocentric theories and the concept of politics has been to a large extent evaded. This is somewhat understandable considering that the concept of politics is a highly anthropocentric term that sits uneasily with non-anthropocentric ontologies. What does it mean to talk about politics in respect to nonhumans? Who/what is the ‘subject’ of posthumanism, of animal rights, of environmental politics, of technological advancement (particularly in case of Artificial Intelligence)? If the path in thinking ‘nonhuman politics’ through ‘subject’ and thus through ‘political subject’ is counterproductive then what are the alternatives? What would the conditions of possibility of such ‘nonhuman politics’ be? What theoretical requirements would need to be fulfilled in order to be able to propose such a concept and fully explore its potential? Perhaps a certain amount of anthropocentrism is in this case unavoidable. And if that is the case then the question to be posed is to what extent are we willing to accept a limited form of anthropocentrism and basing on what grounds? This conference does not expect to come up with definitive answers to these questions but rather explore these issues in more detail. That is also why the conference welcomes contributions from scholars working in various fields of non-anthropocentric theories that wish to engage with the juncture of politics and nonhumans: Ecology, Environmental Studies, Animal Studies, Transhumanism, Posthumanism, Neo-materialism, Philosophy of Technology, Cybernetics, Artificial Intelligence, Literary Theory, Literature, Visual and Performative Arts etc. It wishes to consider how ‘politics’ and ‘political subjects’ are conceptualized across different non-anthropocentric fields. The main purpose of this conference is then to bring together scholars interested in investigating the diverse ways of conceptualizing politics. The conference will take place on 22–23 January 2016 at the Forschungsinstitut für Philosophie in Hannover, Germany. Please send your proposals (of no more than 500 words) as well as a brief biographical note (100 words) to Dr. Iwona Janicka at iwona.janicka[at]cantab.net by 15th October 2015 with the subject line: Nonhumans and Politics_Abstract_Your Name. Notifications will be sent out by 1st November 2015. Papers should not exceed 20 minutes in length and should be held in English.